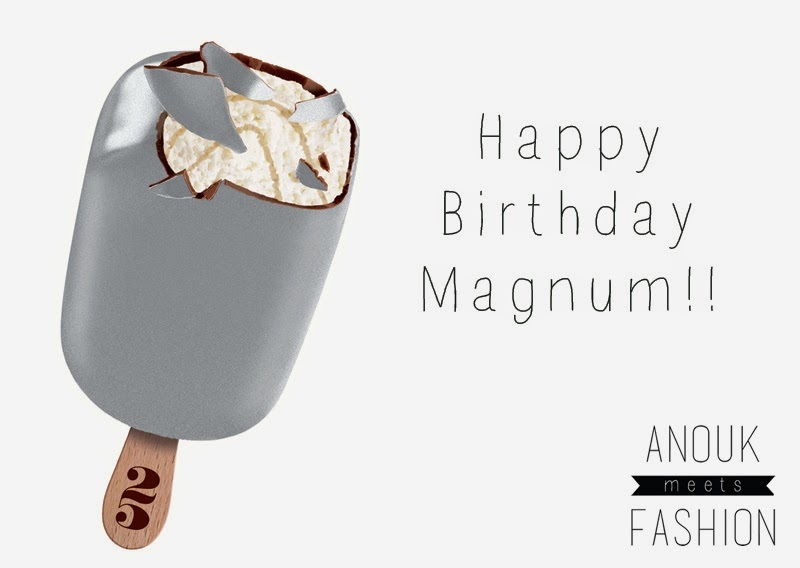 Magnum is celebrating it's 25th birthday this year! And next to the awesome pleasure bar at the chocolate fair, they're now opening a pop-up pleasure bar at the Stadsfeestzaal in Antwerp! It's opening on the 15th of May and staying there for a month, a big hooray for the chocolate lovers!! And there is even more! From 14 till 24 May, Magnum will be present at the Cannes Film Festival (64 Boulevard de la Croisette) and on the 21st they will trow the biggest. most glamorous birthday party ever in the company of special guest Kylie Minogue! It's going to be a night filled with revelations, deliciousness and fun! One lucky Magnum fan can win a ticket to this exclusive party where she will be indulged in chocolate and a custom made designer dress by Rossorame (protégés of Dolce & Gabbana). 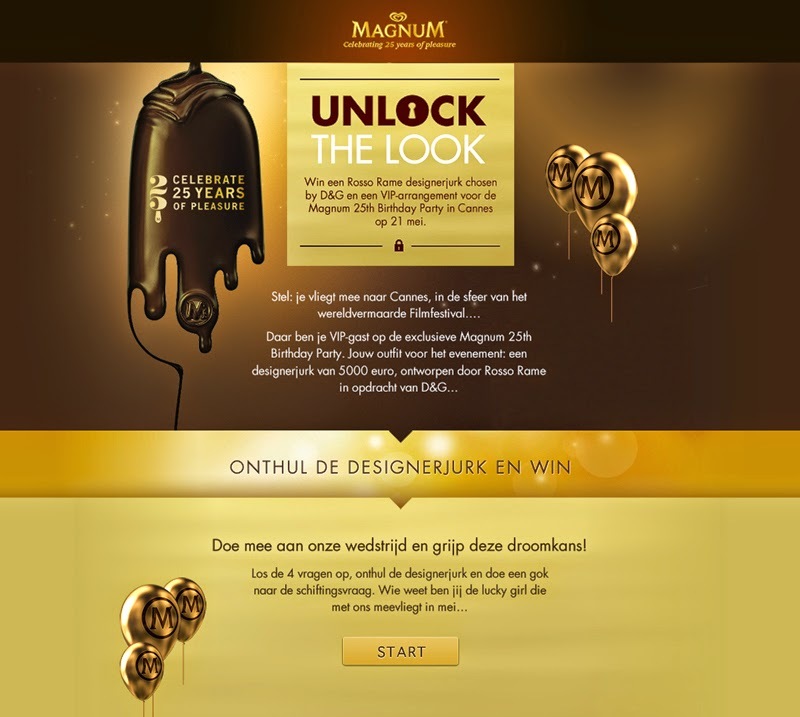 All you have to do is compete in the competition on the Magnum website. Good luck, ladies! 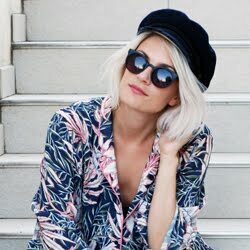 For you that don't feel like going all the way to Cannes but love a good Magnum once in a while, I have some amazing news: Cannes can come to you! I get to make 5 of you happy with a duo-ticket to Nacht van het Palmares (24 May, 18h). This is an VIP event that takes place in several Belgian cinemas. It's a red carpet with VIP cocktail and live streaming of the Golden Palm ceremony, followed by a movie (of choice) from the official Cannes Film Festival Selection. Sounds like a perfect night to me!! Leave me a comment with the name of your favourite movie, your favourite Magnum and off course your e-mail so I can contact you if you won! Jeej kei leuk! Mijn favoriete film: grace of Monaco natuurlijk en als ik een magnum moet kiezen zal het de gouden met caramel worden! Hopelijk kan ik ons mamsie blij maken!